I often get questions about animating SVG lettering in my workshops. Animating SVG strokes can be pretty straight forward, but nice looking letters are rarely just strokes. The animating calligraphy article below has lots of handy tricks for exactly that. Check it out if you’ve been wondering about animating lettering or other irregular shapes. If fancy slide-show transitions are more your style, there’s a triple panel reveal demo below for you too. I have to admit, I don’t totally understand what this site is all about, but time-travel style page transitions and spacey geometric shape animations make a lasting impression. The rainbow fog effect isn’t bad either. 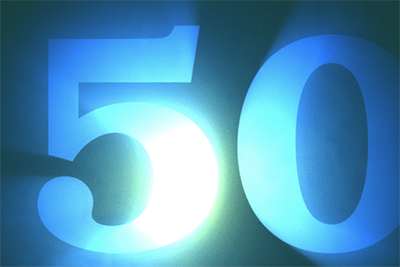 Liam Egan celebrates his 500th follower with this shiny yet gritty interactive demo. 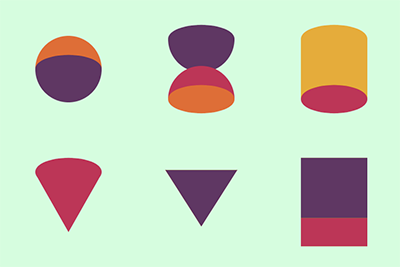 Lovely rotating 3d shapes by Dave DeSandro made with canvas (and no WebGL or Three.js). It’s very interesting to note how different the 3d effect is when they’re animated vs when they are still. 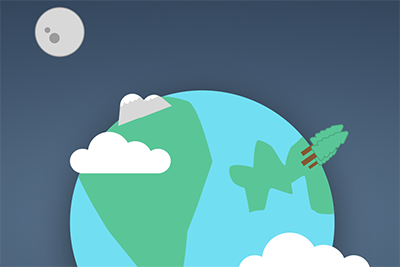 This might be the slowest CSS animation ever to be created. Burke Holland’s CSS animated moon that moves at the speed of, well, the moon. 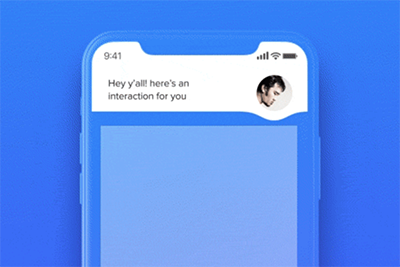 A smooth and liquidy chat popup concept by Minh Pham. Very slick! Animating SVG strokes is fairly straight forward, but animating calligraphy (or even lettering) can get tricky because the strokes that make up the letters are actually closed paths. Claus Colloseus demonstrates some clever masking techniques to create "drawing" animations for fancy letters. If you like lettering, this one is a great trick to have up your sleeve! A fullscreen image slideshow with lateral image previews and a reveal animation using TweenMax. This effect mixes different planes of motion to give it more complexity and depth. Safari Tech Preview 59 will have Web Animations on by default. (Previously you had to turn them on manually.) This blog post also has a short and sweet explanation of what you might use the WAAPI for. Max Böck covers the Digital Walls demo in more detail showing how all the pieces, like animation, came together for the final results.